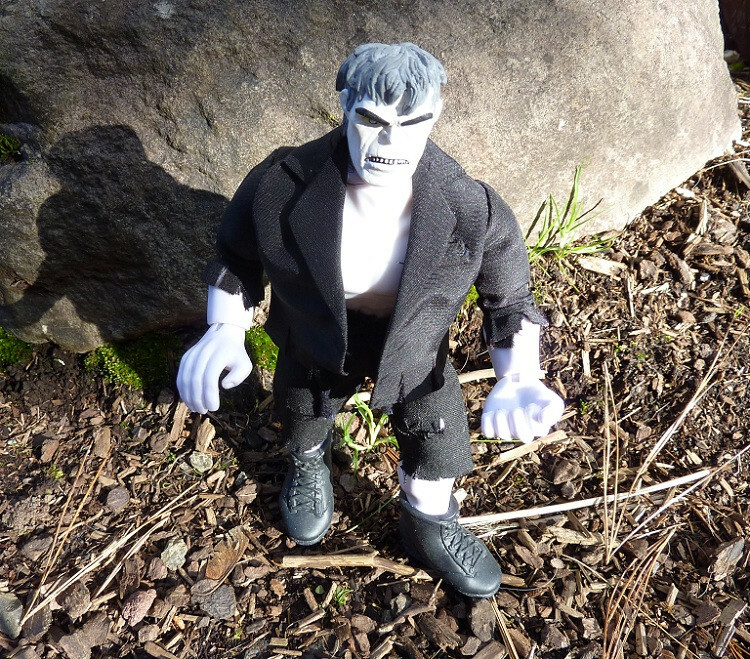 I know Solomon Grundy is a very common custom, but I'm really happy with how he turned out. 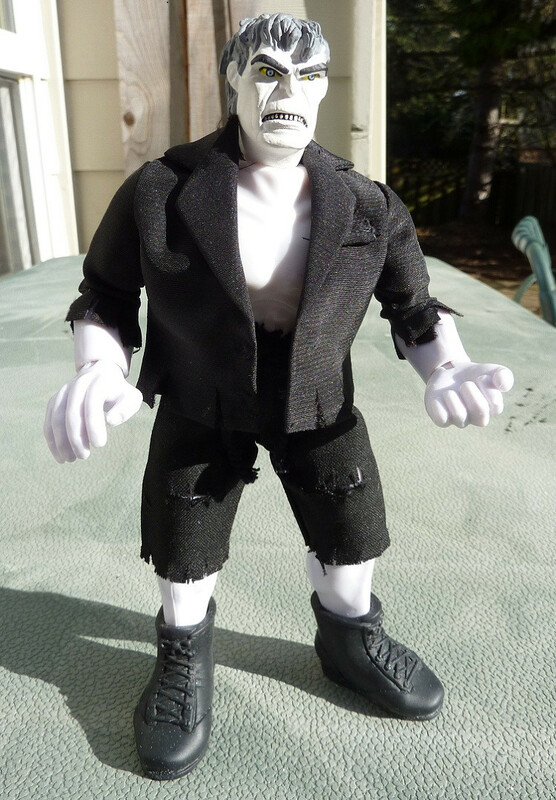 Doc muscle body, CTVT ripped pants and suit jacket, awesome BK painted head! The boot are from a Famous Cover wrestler figure that I heated up to get over the giant feet. I hope my camera did BK's painted head justice. Its really amazing up close. 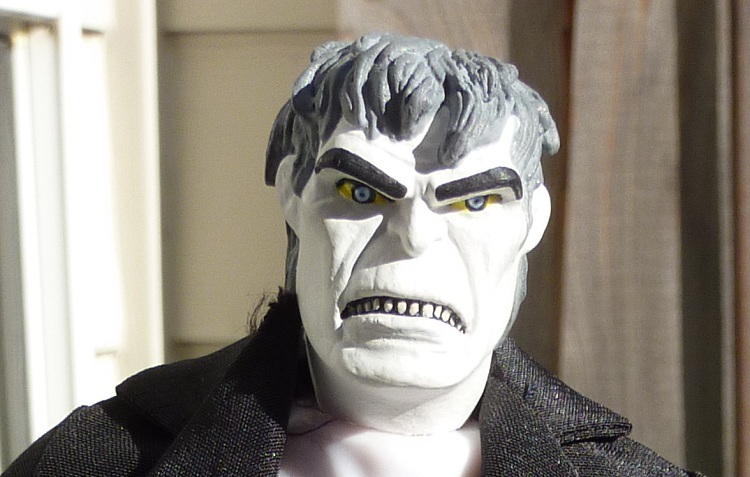 For comments, see the Mego Museum page.